Inateck’s Mercury Box BP2101 Bluetooth Speaker comes in an elegant black case, internally covered with velvet fabric. This gives you a hint as to the quality of the product inside. However, we do not judge a book from its cover. So let’s take a look at the actual characteristics of the Mercury Box speaker. Inateck’s Mercury Box BP2101 Bluetooth Speaker’s upper end is rubberized and has a soft-touch texture. Its powerful dual 5W drivers deliver loud and rich sound and they perform well with different types of music, from rock music to Jazz. The bass will not shake the room, but it is still quite good with a pleasant presence of warmth. Given the small dimensions, we were surprised by how loud the MercuryBox could go. For such a small speaker, its room-filling sound is impressive and beats that of larger, heavier speakers. Vocals are loud and clear, and highs are well reproduced. There’s no unnatural metallic sound or weird buzz, even at maximum volume. One fault of Inateck BP2101 Bluetooth Speaker is that it does not have any stereo separation. Another interesting feature of this chic device is its IPX5 waterproof design. Inateck’s MercuryBox is splash-resistant, making it ideal for use in the bathroom – just don’t submerge it in water. In terms of battery life, Inateck claims the built-in 1800mAh rechargeable lithium-ion battery can offer up to 15 hours of playtime. Your results will vary, depending on audio volume and other factors. When the speaker is low in battery, the buttons will light red. You can then charge Inateck Mercury Box with the included Micro-USB charging cable. 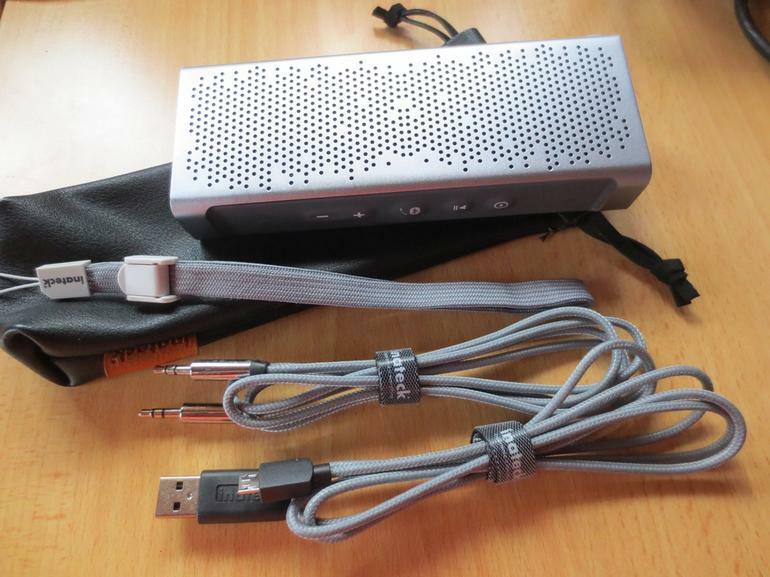 Inateck’s Mercury Box BP2101 Bluetooth Speaker is a decent budget speaker, both sophisticated and attractive in design.